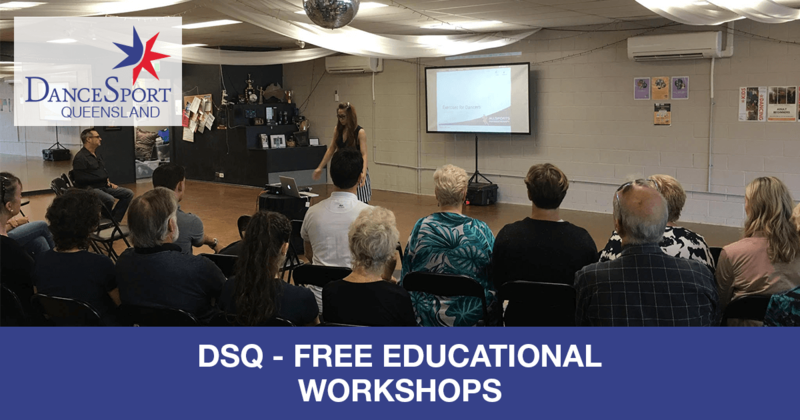 DanceSport Queensland was proud to present the first of their free Workshop series on 11 March 2018. The knowledge imparted at these workshops was of great benefit to everyone who attended. Starting with Amy Chu, who presented on Sport Injury and prevention. Amy had everyone on their feet trying her exercises, which provided broad knowledge on ways to prevent and limit injuries – and how to deal with them when they do occur. The knowledgeable Martha Williams provided an insight into Juvenile and Recreational dress codes, and what can and can't be worn on the dance floor. It was great to see so many professionals in attendance, as this knowledge is imperative to pass on to students and studios. The morning session concluded with our current Australian Latin American Champions, Justin and Amy Sharrock. These two come from regional Queensland and have achieved great success. It was inspiring to learn more about their journey and what it takes to be the champions they are today. After a brief lunch break the day continued with Travis Telfer speaking all things Social Media. As a studio owner, this information was so beneficial on advertising and ways of getting more customers through the door. Last but not least, the current President of DanceSport Australia, Dallas Williams, gave an overview of the direction of DanceSport Australia and what to look forward to in the future. Dancesport Australia would like to sincerely thank all who attended, and a huge thank you to the knowledgeable speakers who shared their expertise with a very receptive audience. Lastly thank you to Learn 2 Dance for providing their studio for the day. We cannot wait for the next workshop series in Queensland.